This website project was launched in April 2010. It is entirely run by a very small group of volunteers with the generous startup help of the Heritage Lottery Fund. We were funded by HLF up to Nov 2012 and thereafter on a very modest maintenance level for another several years. After 2017 we are entirely dependent on sponsorship. We need several hundred pounds a year to maintain the site and we need to find a lump sum of two thousand pounds around 2017/20 to migrate the site to WordPress which will make it more durable into the future (see Downloads document at foot of page which explains the need). Sponsorship or donations, however small, are all gratefully received. If you have a PayPal account then use the above link. If you just have a debit or credit card then use the link and click on the card option at the bottom of the PayPal screen. 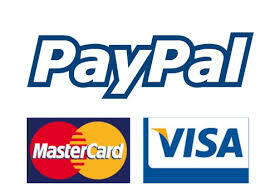 You will be asked to supply some personal details to PayPal but if you don't want to do this then we suggest you try a bank-to-bank transfer using the RDCA account details we supply immediately below - sort code and account details are usually sufficient, supplied via online banking or by a visit from you to your local bank. This page was added by Bob Stephen on 12/04/2011.